Joe and Diane Sizemore, long time residents of Ray City, GA attended teachers college at Statesboro, GA and spent their first teaching in Irwin County. Their first year out of Georgia Teachers College Joe and Diane went to Ocilla, GA where they taught school for the 1952-53 school year. They moved into a small, four unit apartment building located at 108 South Irwin Avenue, called the Teachers’ Building. It was in downtown Ocilla where they could walk to shop. The hardware store was across the alley from their apartment. They bought their first refrigerator there. 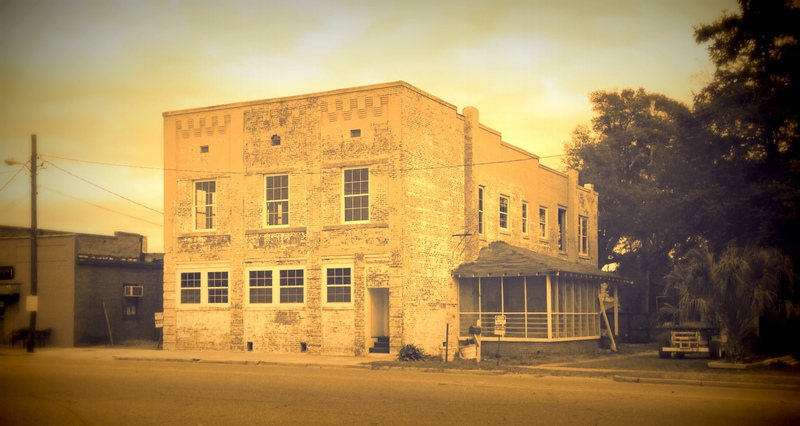 Joe and Diane Sizemore lived in this Ocilla, GA apartment building during their first year of teaching 1952-53. Joe got a job in the Ocilla city high school; Diane was hired to teach in one of the county schools. The Ocilla position was highly recommended by Joe’s math professor at Statesboro, W. B. Moye, who knew the Irwin County School Superintendent. Joe’s degree was in Exact Science. That first year he taught math and algebra and two study halls. Diane taught 4th grade at the public school at Mystic, GA five miles west of Ocilla. She rode to work every day with one of the other teachers. The Principal was Mr. Peavy; he had previously been pastor of the Baptist Church at Ray City, GA. 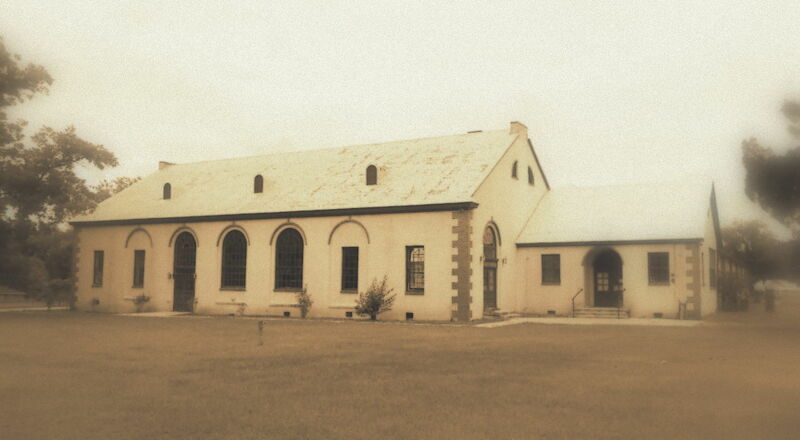 Mystic Public School, constructed 1928. Diane Sizemore taught 4th grade at Mystic in 1952-53. Even with two incomes, teaching didn’t pay enough for Joe & Diane to live on. Joe took an extra job working on Saturdays at a grocery store so they could afford to eat. Still, they saved enough of that money in the first semester to buy their first car at the end of the first semester. One of the Ocilla teachers sold them a black Plymouth sedan, used but it looked like brand new. When they went home to Nashville and Ray City for Christmas, both of their families were shocked to see them drive up in their own car. But at Christmas, the Irwin County superintendent lost his bid for re-election and a new superintendent was elected. After that, their positions in Ocilla were uncertain and they decided to pursue other jobs. When school closed for the summer, they moved to Quitman, GA and took teaching positions there. Frances Cornelius, born 1938, lived with her family on Possum Creek Road just west of Ray City, GA. Her father, Shellie Wade Cornelius, was a bus driver for the Ray City School and her mother, Pearl Williams Cornelius was a teacher. 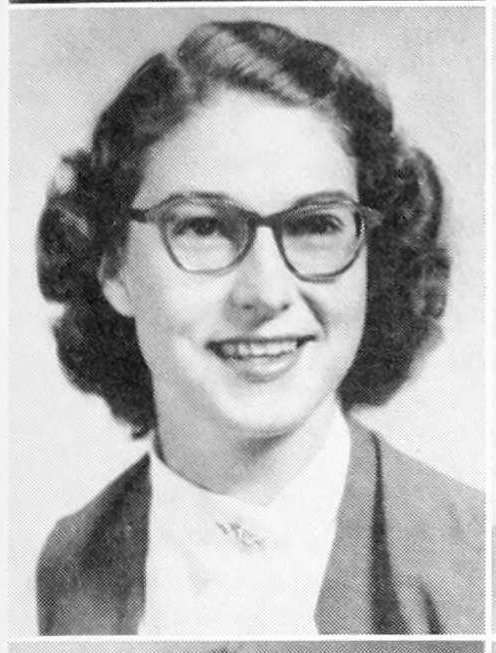 At Berrien High School, Frances Cornelius was a member of 4-H, Glee Club, Tri-Hi-Y, and Future Homemakers of America. She also play on the Girls basketball team and was a cheerleader. Did Berrien’s own Jonathan P. Knight almost nix Coca Cola in Georgia? Knight grew up at Ray City, GA before moving to the Berrien county seat at Nashville. 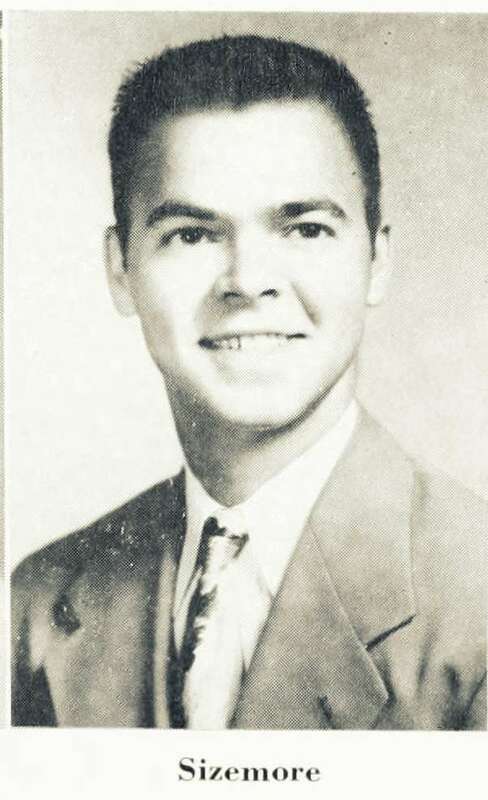 He was elected to Georgia Assembly first as state representative and later as state senator, and was known for his fiery activism against drinking. He was chairman of the Temperance Committee in the Georgia Senate and was outspoken about the prevalence of drinking in the very halls of the Georgia Assembly. J. P. Knight, of Berrien was among the foremost champions for statewide prohibition on the sale of liquor, which was passed in Georgia in July 1907. Knight didn’t think the law went far enough and was among the first to point out that the law contained very large loopholes, namely, that liquor could continue to be served in social clubs where members kept their own stock in private lockers. Knight’s bill introduced July 17, 1907 was aimed at closing this loophole. Those of the clubmen of Georgia who boast a convivial liking for the cocktail, the highball, or the mint julep, as the particular taste may dictate, and have been consoling themselves with the fond belief that, after all, prohibition would not mean such a hardship forthem, as at the worst they would be able to keep their well-stocked lockers, where they would always be easy of access, have a rude jar coming to them, if Senator Knight of the sixth district, chairman of the temperance committee of the upper house, has his way. The former representative from Berrien has in his desk a bill the purpose of which is to declare that any place in which liquors are kept for sale or use, whether by individuals or corporations, is a tippling house, and consequently in violation of the prohibition bill which he expects to see entered on the statute books of Georgia. If this bill is passed, it will not only be illegal for clubs to supply their members with drinks, but it will be impossible for them to provide lockers in which members may keep their own liquors and mixing materials. It will then be possible for a man to get a drink only within the confines of his own home. But some thought the state prohibition laws were too tight – Prohibition could have ended the sales of soft drinks in Georgia as well as alcoholic beverages. Atlanta, July 16. – Senator J. P. Knight, of the seventh, from Berrien county, chairman of the state temperance committee, says he will introduce a bill tomorrow, not only to prevent the sale of liquor in private clubs but to make it a misdemeanor for any member of any club to keep a bottle in his private locker. He thinks there is no question about its going through along with state prohibition. Atlanta, July 16. – It is claimed if the state prohibition bill passes practically all the soft drinks manufactured Georgia will have to go out of business. A small quantity of alcohol is required for the purpose of preserving the syrups, which are the basis of them, and with state prohibition in effect it will be impossible to secure it. – Savannah News. Georgia’s prohibition law went into effect in 1908, although Knight’s proposal to tighten the prohibition was not adopted. For a while at least, alcohol remained available in Georgia’s social clubs, and while the presence of alcohol in sodas became widely known, the demand for soft drinks soared under Prohibition and ever after. Apropos of prohibition, word comes from Washington that the Internal Revenue Bureau has discovered that in many of the so-called soft drinks dispensed from soda fountains there is present alcohol in larger percent than in the same sized drink of beer. If the man with the soft thirst could take a deep draught from the onyx covered receptables in which certain extracts and essences are concealed in soda fountains, he would consume a drink probably from 40 to 60 percent alcohol. With the addition of fizz and the other things that are artfully welded to make a soft drink the precentage is cut down considerably. Local druggists, it is said, may expect to hear that the internal revenue officers have determined that mixers of these extracts and essences with carbonated water shall pay taxes for the privilege of competing with the regular bars. The internal revenue laws says that before a man may mix a drink containing alcohol he must take out a rectifier’s license. Now the soda water man takes essences, extracts and syrups containing alcohol, and adds water to taste to produce a beverage, and is rumored that the internal revenue commissioners will be instructed to issue rules so worded to compel druggists who desire to use the alcoholic essences to become rectifiers and also retail dealers in spirits. It is claimed that in some soft drinks served from soda fountains there appears 4 percent of alcohol, while beer is claimed to contain less than 3 percent. Most of the soda fountains in Bainbridge, however, use almost entirely the fruit juices, which contain not more than a fraction of 1 percent of alcohol. Druggists state, however, that some extracts are still used and that in some of them the “spike” is two-thirds of the entire fluid. A small drink of the pure extract would serve much the same purpose as several mint juleps and gin rickeys mixed in the regular bars. The Georgia legislature turned its attention to taxing the “bring your own bottle” clubs, thus preserving the revenue of the state, the privilege of the wealthy, the future of Coca Cola, and the appearance of temperance for the lower classes. Even after the passage of national Prohibition, the Demon Alcohol – moonshine liquor, the kind that simply makes a man forget himself and everything else – was widely available in south Georgia, and public drunkenness in Ray City led to “free fights and a good deal of threatening and a considerable amount of gun play.” It must have been a personal embarrassment to Jonathan Perry Knight that in his own home county of Berrien the consumption of alcohol remained so rampant. Sue Nix, from the New Lois area near Ray City, GA. Her sister taught music at Ray City. Sue Nix attended Berrien High School in Nashville, GA, where she was a member of 4-H, Glee Club, Tri-Hi-Y, Broadcaster Staff, Rebel Yell, Annual Staff, Dramatics Club, and Future Homemakers of America. She served on the Student Council, and as Class Vice President and Class Treasurer. She was the Sweetheart of the Future Farmers of America Sweetheart and was elected Miss B.H.S. of 1954.